When the temperatures drop outside, the chances are you’ll start turning up the thermostat on the inside. It’s important, then, that the boiler in your home is working perfectly, both for the comfort and safety of you and your family. During the cold winter months in Rockland County, NY, you’ll want to know there is a dependable, reliable boiler contractor who you can turn to for your entire boiler needs. Whether you need expert boiler service or installation, Clarkstown Heating & Air Conditioning can help. We work hard to provide you with the best boiler services for your needs, and it’s our promise that you’ll be completely satisfied with our products and services. We’ve been successfully meeting the home boiler needs of residents of Rockland County, NY since 1976, and we attribute this to our honesty and integrity. At Clarkstown Heating & Air Conditioning, we promise you we’ll always explain everything up front to give you the best service, information, value and boiler system that money can buy. Our highly trained technicians are punctual, courteous and respectful of you, your family and your home. We work hard to provide you with the best boiler products and services available. 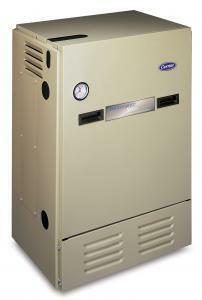 Why Choose Clarkstown for all your Boiler needs? Count on Clarkstown for the best boiler services in the Rockland County, NY area. Clarkstown Heating & Air Conditioning works to provide Rockland County, NY residents with the best boiler systems available, including Carrier® and Triangle Tube®. And, we do so on time and at a fair price. Our top priority is to save you money and energy, and to always install quality products. That being said, we don’t try to get you to spend money on a new boiler system unless there’s a good reason. We’ll work hard to get your boiler running perfectly, keep it running for years to come, and, we’re always available in an emergency. When you work with us, there will be no surprises – with Clarkstown, you can always expect honesty and integrity. Rockland County, NY winters can get chilly – make sure your boiler is running perfectly this year by choosing Clarkstown Heating & Air Conditioning to help you with your boiler needs. When you need a full-service boiler contractor for your home, we’re ready to assist you, whether you need boiler maintenance, repair or installation. Simply call us at (845) 620-1000.